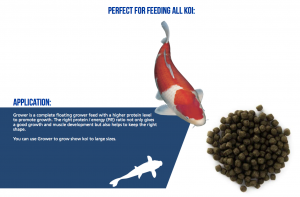 The current feeding programs for all species promote fast and efficient growth while the impact on the environment, pollution and water consumption is minimized. The selected ingredients are purchased from certified suppliers and meet the highest standards of nutrition technology (ASC). Every produced batch of feed is scrutinized by defined quality assurance before it is sold in the market acc. to ISO 22000, ISO 50001, GLOBALG.A.P. 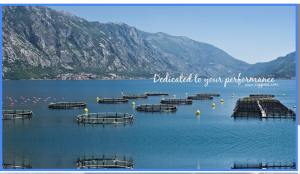 The program consists of broodstock diets, artemia, hatchery feeds, nursery diets and a wide range of growers. 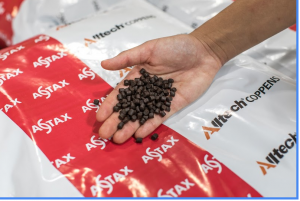 The products are all produced by Alltech®Coppens in Nettetal/Germany under strict HACCP and GMP standards and according to EU-rules and are continually improved in Alltech®COPPENS research center. 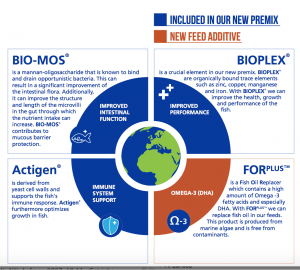 In order to improve growth, immune response, digestibility and intestinal function the premix BIO-MOS, Actigen and BIOPLEX are important components in all feeds. 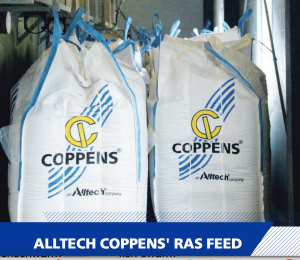 Specially with the new additive FORPLUSTM Alltech®Coppens succeeded in replacing fish oil by algae production, which contains high levels of healthy fatty acids and DHA and is free of contaminants.